NEW YORK, N.Y. -- Today, New York Attorney General Barbara D. Underwood and Massachusetts Attorney General Maura Healey, leading a coalition of twelve Attorneys General, filed a lawsuit challenging the Department of Labor's Association Health Plan (AHP) Rule, which expands the criteria for forming AHPs in order to evade consumer protections and sabotage the Affordable Care Act (ACA). AHPs have a long history of fraud, mismanagement, and abuse, with millions in unpaid claims for policyholders and providers, often leading to consumer bankruptcies. "The Trump administration's AHP Rule is nothing more than an unlawful end run around the consumer protections enshrined in the Affordable Care Act – part of President Trump's continued efforts to sabotage our health care system," said Attorney General Underwood. "Our lawsuit today seeks to safeguard federal protections under the ACA that help guarantee access to quality, affordable health care." Click here to read the complaint, which was filed in the U.S. District Court for the District of Columbia by the Attorneys General of New York, Massachusetts, District of Columbia, California, Delaware, Kentucky, Maryland, New Jersey, Oregon, Pennsylvania, Virginia, and Washington. "Our number one priority is the health and safety of New Yorkers, and we have zero tolerance for any action that undermines the Affordable Care Act and puts health care coverage at risk for thousands of people," said Governor Cuomo. "The Trump Administration is once again waging an assault against the fundamental rights of Americans to have access to safe, high quality, affordable health care. We are suing the federal government to protect health care for New Yorkers and to fight back against these federal attacks." Over the last few decades, Congress has legislated – including through the ACA – to protect health care consumers from AHPs' fraudulent conduct and to ensure consumers have comprehensive health coverage without having higher premiums or fewer benefits based on a pre-existing condition. The AHP Rule would undo critical federal consumer protections and unduly expand access to AHPs without sufficient justification or consideration of the consequences. President Trump himself cited the sabotage of the ACA as the clear purpose of the AHP Rule, proclaiming that it was a "truly historic step in our efforts to rescue Americans from Obamacare and the Obamacare nightmare" and would "escape some of Obamacare's most burdensome mandates." The lawsuit filed today alleges that the Department of Labor violated the Administrative Procedures Act when it promulgated the AHP rule. The lawsuit also argues that the Rule violates both the ACA and the Employment Retirement Income Security Act (ERISA), and that it unlawfully reverses decades of agency and judicial interpretation of ERISA's key terms, with the primary purpose of undermining the ACA and without accounting for increased risk of fraud and harm to consumers based on a longstanding history of such conduct by similar plans. The Attorneys General are urging that the AHP Rule be vacated. This matter is being handled for Attorney General Underwood by Special Counsel for Social Justice and the Health Care Bureau Sara H. Mark, Special Counsel for the Executive Division and Senior Advisor Eric R. Haren, Assistant Solicitor General Matthew W. Grieco, Deputy Solicitor General Steven C. Wu, and Assistant Attorneys General Elizabeth Chesler and Paulina Stamatelos. 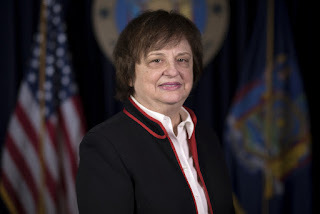 The Health Care Bureau is led by Bureau Chief Lisa Landau together with Deputy Bureau Chief Susan J. Cameron and is part of the Division of Social Justice, which is led by Executive Deputy Attorney General for Social Justice Matthew Colangelo.